I can now let the "cat out of the bag!" This is a link to my latest acquisition. I just brought it home and on the way, it kept wanting to leave rubber marks all along the route . Sweet! Isn't that the same engine that the 03/04 Mach 1's have? Nice !!! Undercover cop car ! Alright, I thought they were all black... so, I gotta ask, any "mods" planned to the "mod motor"? 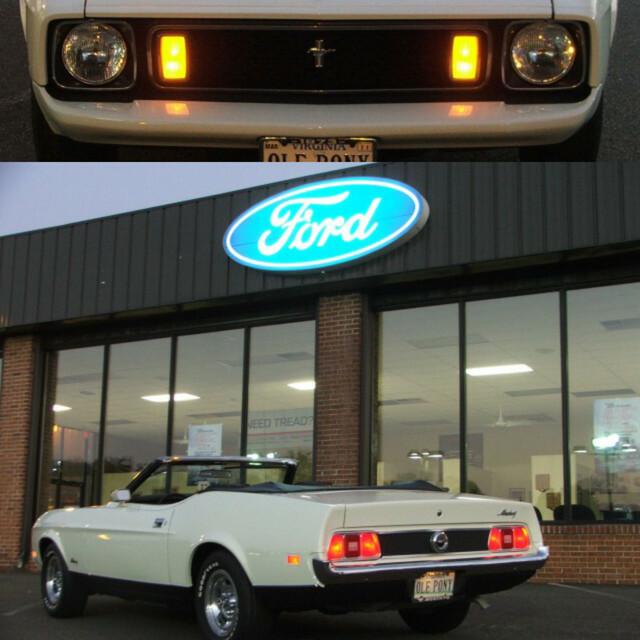 Yes, it does have the same motor as the Mach 1 and I have owned very few cars that have "escaped" modifications. This one is really nice as it is fairly subtle but man oh man, it can flat out get up in the middle and upper ranges. I am just going to enjoy it for awhile before I do any changes. My understandings is there were less than 12000 made over the 2003 and 2004 model years. I had been looking for one for at least five years. I was able to get this one for $12,800 (including taxes and tags). Have a road trip scheduled tomorrow to Little Rock, Arkansas. Probably a really great time to let it stretch its legs. SWEEEEEEET!!! I'm glad your 5 year hunt ended with an awesome ride!